FORT LAUDERDALE/DAVIE, Fla. – Nova Southeastern University’s (NSU) Alvin Sherman Library will host its annual StoryFest! on Sunday, March 10 from 11 a.m. – 4 p.m. Guests will enjoy a fun-filled day of storytelling, live shows, crafts and more during this FREE community event. StoryFest will take place on Sunday, March 10. This year’s StoryFest! Island Tales will highlight the cultural diversity of the South Florida community with music and stories. The sounds of steel bands and Junkanoo will fill the air as attendees explore the event. Award-winning reggae musician Aaron Nigel Smith and internationally-touring musician and artist Alina Celeste will also inspire kids to sing, dance and share music together. Children will have the opportunity to build their narrative skills, an essential part of early literacy development. 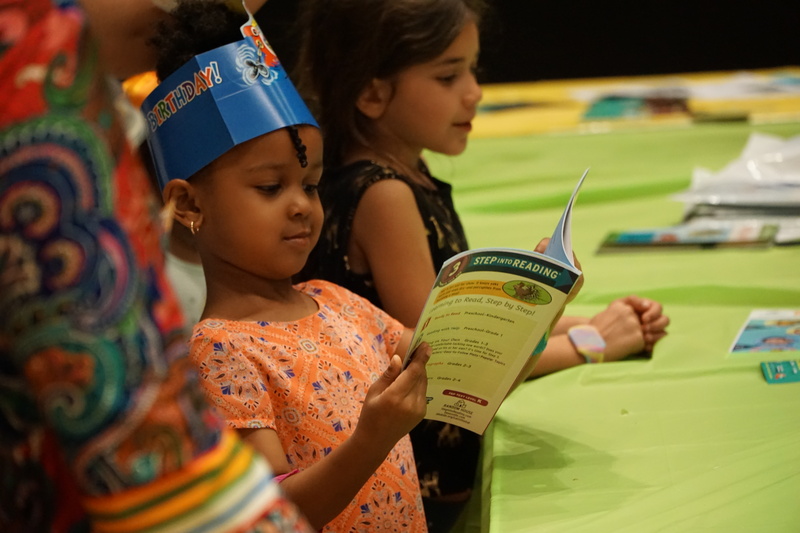 Stories will come to life with special readings with Salty Sue – a seriously silly pirate; Lucrece Louisdhon-Louinis, who reads Haitian, Caribbean and African stories with living drumming and clapping games; and award-winning authors and story tellers Mitch Weiss and Martha Hamilton. As part of the library’s efforts to encourage reading, each child who attends the event will receive a free book, while supplies last. Attendees are kindly asked to RSVP at www.aslstoryfest.com. About Nova Southeastern University (NSU): Located in beautiful Fort Lauderdale, Florida, NSU is ranked among U.S. News & World Report’s Top 200 National Research Universities and is a dynamic, private research university providing high-quality educational and research programs at the undergraduate, graduate, and first-professional degree levels. Established in 1964, NSU now includes 16 colleges, the 215,000-square-foot Center for Collaborative Research, a private JK-12 grade school, the Mailman Segal Center for Human Development with specialists in Autism, the world-class NSU Art Museum Fort Lauderdale, and the Alvin Sherman Library, Research and Information Technology Center, which is Florida’s largest public library. NSU has campuses in Fort Lauderdale, Fort Myers, Jacksonville, Miami, Miramar, Orlando, Palm Beach, and Tampa, Florida, as well as San Juan, Puerto Rico, while maintaining a presence online globally. Classified as a research university with “high research activity” by the Carnegie Foundation for the Advancement of Teaching, NSU is one of only 50 universities nationwide to also be awarded Carnegie’s Community Engagement Classification, and is also the largest private institution in the United States that meets the U.S. Department of Education’s criteria as a Hispanic-serving Institution. For more information, please visit http://www.nova.edu/.